Ajmer- A city of the great emperor Prithviraj Chauhan, is one of the finest tourist places in Rajasthan. 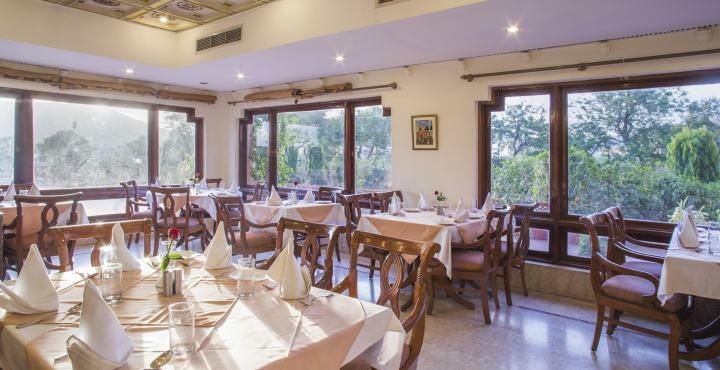 As every tour is incomplete without tasty and healthy food, we can not skip mentioning the best restaurants in Ajmer that serve delectable cuisines. With a perfect amalgamation of street food and fine dining, the eateries here respect the taste of a diversified range of tourists and make them feel gratified after experiencing the meal. There are a number of vegetarian and non-vegetarian restaurants out there, which have several options to choose from. After exploring the area entirely, we have come up with a couple of best restaurants in the city that we would like to share with you people to make the rest of your Ajmer trip a bit more joyful. Categorized as one of the top-rated non-veg restaurants in Ajmer, this small eatery is located roadside at Kutchery Road. 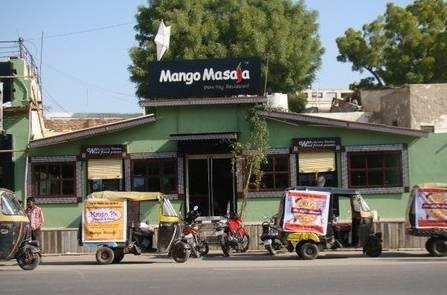 A diner and a coffee house, Mango Masala is a complete family restaurant with rich Indian and international varieties. They are famous for making tasty vegetarian dishes in the designed wooden fired ovens. As far as the aura is concerned, the place features a bar-like atmosphere, which comprises an ambience for the set of people having different tastes and ages. The must try out cuisines include Manchurian, Sizzlers, Pizza, and the Indian Thali. Interestingly, the restaurant has a memory wall where customers can express their cherishable moments in the form of personalized notes about the place and valuable comments about the services rendered. A fine roof-top restaurant placed at hotel Ambassador is totally a charmer at the dusky hours. The area is divided in a small hut like structures having white curtains and shimmery lanterns all around. The beautiful cityscape views make the place even more beautiful and on top of that, the light melodies and dim light are good enough to make up anyone’s mood. The restaurant has three different dining areas- an inside dining area, cute desert-camp styled cabanas, and a garden area offering food on counters. A couple of its adorable dishes are Kebabs, Corn vegetable, Tanatan Chat, and Smoked Chach. On an all, it’s perfect for an evening meal with your close ones. A well-recognized eatery in Ajmer, the Honeydew restaurant has been established 3 decades back and located at the station road. As the eatery has a successful history, the name itself is enough to describe the palatable dishes of the place. Not just limited to the vegetarian cuisines, the menu card of Honeydew has got rich non-veg stuff as well as per the tastes of the customers. Though, a large portion covers the Indian food. When it comes to defining the ambience, the place is extremely pleasant and hygienic. Its well-known dishes comprises of Chicken Kalimiri, Tandoori Chicken, Mutton Seekh, and Fish Fingers in the non-veg segment while the vegetarian one includes Kadhai Veg and Veg Biryani. Located on the outskirts, the Chitvan is best for long distance journeys from Jaipur to Ajmer or vice-versa. A completely veg restaurant is well popular among the daily or frequent travellers on this route. As per the ambience aspect, the restaurant has a very pleasant decor and fine environment, which is totally a mood-maker. Apart from the great hospitality services, it has Malai Kofta, Dal Makhani, Garlic Tandoori Naan, and Matar Paneer beneath the most adored food section. The place also has a giant playing area for children. 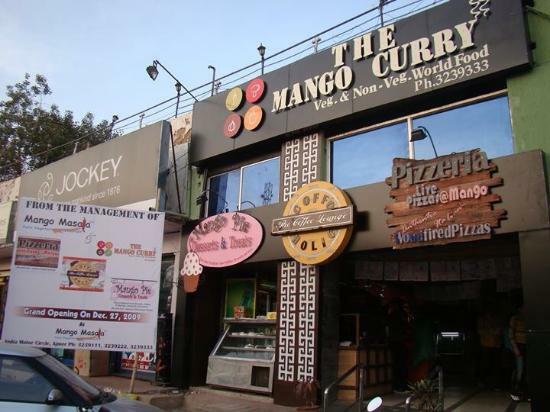 Very close to the bus station, the Mango Curry has a broad category of veg and non-veg dishes. Though all the cuisines are by far best in taste, but Pizzas are in huge demand among the localites and one of the restaurant’s hottest serving menu items. Coming over to the ambience, the interiors are decorated with trendy, colorful walls. The soft music and dim lighting set an exotic atmosphere all around. Besides Pizzas, Chinese cuisines and Sizzlers are also in popular demand over there. As per the non-veg main course, they have Chicken Maratha, Laal Maas, Kadhai Chicken, Keema Naan, and Mutton Biryani as the prominent palatable items. Rasoi is a themed veg restaurant in Ajmer that offers a unique dining experience to the customers with a wide range of Indian, Rajasthani, Continental, Italian, South Indian, and Chinese dishes. 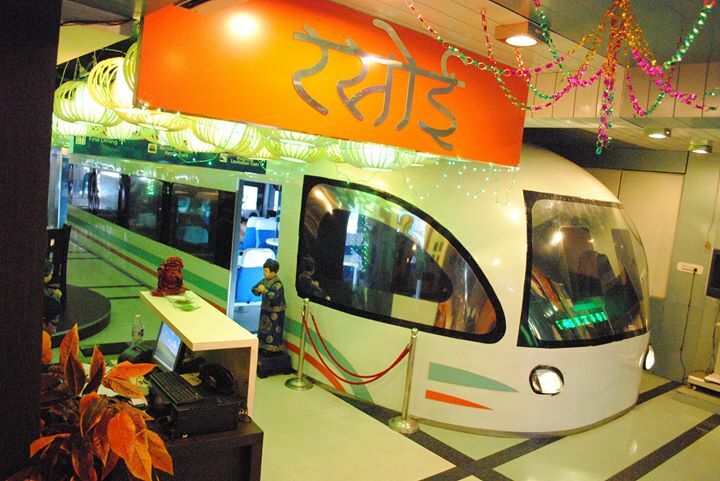 The theme of a metro train is quite impressive and it has got large LED’s on the walls beside each table that displays the rich monuments of the ‘Dharti of Mewar’. Fully air-conditioned, the aura inside the eatery arguably grabs the eyeballs. 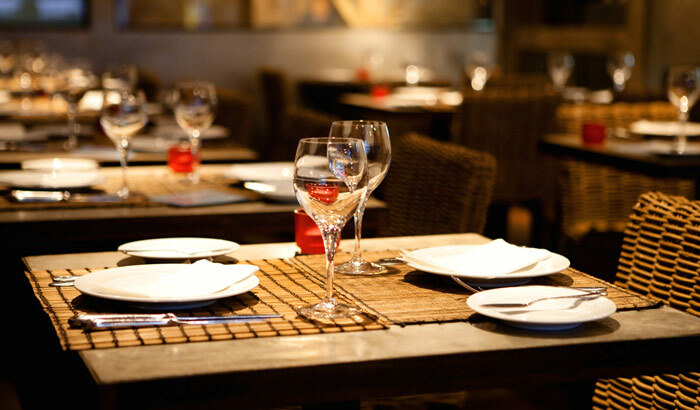 As far as the service is concerned, you would certainly feel satisfied after walking out of the restaurant. The speciality of the place is the authentic Rajasthani food, which has the whole Rajasthani Thali, Kaju and Khoya gravies, Dal Bukhara, and Paneer Tufani as the main delights. Also, there is a coffee bar that serves an extensive range of coffees, sundaes, and desserts.